Reading and writing in a KBC: correlation or independence? Alora Italy… KB Special Issue! 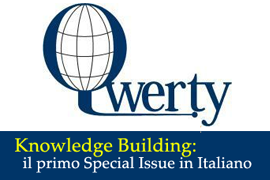 QWERTY – Interdisciplinary Journal of Technology, Culture and Education, has published the first special issue on Knowledge Building in Italian! It has twenty articles on KB Theory, Technology, Applications, & Issues and products. Here is a link to the journal! The Collaborative Knowledge Building Group (CKBG) arose from the need to create a community where ideas could be shared amongst researchers interested in computer-supported learning environments. To learn more, click here. 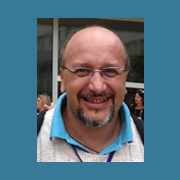 On March 1st, 2011, Stefano Cacciamani was promoted to Associate Professor in the Faculty of Psychology at University of Valle d’Aosta… Congratulations from the Knowledge Building community!